Los ensambladores más grandes del mundo le están dando un espaldarazo a AMD al sumarse desde un comienzo a la colección de modelos equipados con el APU AMD Fusion. Ahora toca ver si hicieron una buena apuesta. The biggest story in laptops this year has got to be the rise of the inexpensive 11-inch ultraportable. There have been plenty of 11-inch AMD-powered ultraportables this year, but HP's Pavilion dm1z was the first, and this updated version puts it back in the lead in this crowded category. One annoying thing about the laptop is the amount of bloatware that comes pre-installed. It includes random games, CyberLink DVD suite, and Times Reader, and the count goes up to almost 30. Complaints? I basically have none. The keyboard and touchpad aren’t the best, and I’d prefer a fourth USB port, but I — and anyone — should be able to get by with the stock dm1z just fine as is, and without spending too much, either. All and all, it’s a well-rounded value package, although we’re surprised it’s not actually a bit cheaper considering that there’s no overhead for a discrete graphics chip. Nevertheless, if you want a small, inexpensive, versatile notebook, this is it. This is the second major E-350 laptop that we've had the ability to review in the early months of 2011. The ThinkPad X120e was somewhat better specified, but also cost a good amount more. The dm1z offers a great balance between power and price. 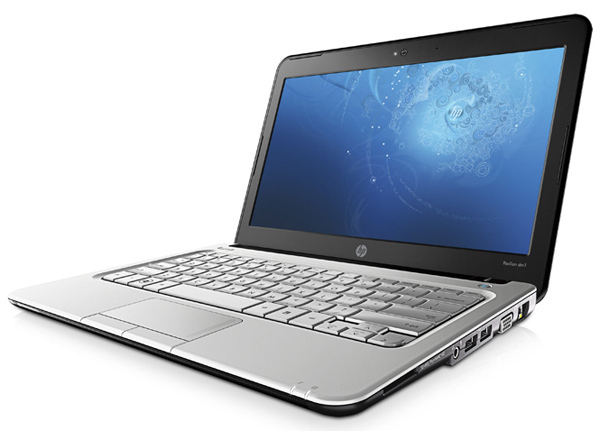 For a "netbook" sized machine, it offers ultraportable-level performance. The rear panel can be removed without a screwdriver, thanks to a clever tool-less design. Once inside we were pleasantly surprised to see 4GB of high quality Hynix DDR3 memory included as well as a capable Western Digital 7,200 320gb Scorpio hard drive. Quality components help Windows 7 performance, and while we would still swap out for an SSD at a later date, the ‘out of the box’ performance is class leading, for the price. Now that the HP Pavilion dm1z has arrived, the budget notebook space has become a lot more competitive. With AMD's new Fusion processor, HP has created a laptop that, for $479, provides a better balance of performance and endurance than the Nvidia Ion-powered Asus Eee PC 1215N. It also gives you more graphics oomph than Intel ULV notebooks and earlier AMD budget ultraportables. While you'll squeeze out a few more frames in some games on Ion, the more powerful dual-core AMD processor in the dm1z lets you accomplish more than an Atom chip ever could. Not only that, but you get 6.5 hours of battery life in a very stylish package. The HP Pavilion dm1z is probably one of the best thin and light laptops you can find for under $450. The AMD E-350 processor and Radeon HD 6310 give the laptop more kick than you’d get from any Intel Atom powered laptop, but the chipset isn’t as expensive as the lastest higher-powered chips from Intel, which helps keep the price down. But the Pavilion dm1z isn’t for everyone. The awful touchpad can pose a major problem if you prefer to use a laptop without a USB or wireless mouse. The battery life is good, but not amazing. And the fan noise can be a problem if you prefer a nearly silent computer. The HP Pavilion dm1z with AMD Fusion impresses us as a better than netbook alternative for those looking for a relatively affordable portable that can handle video playback and even light gaming. We found it capable of multitasking responsively with Office apps, web browsers and email (just don't juggle several demanding apps) and the 1366 x 768 display gives you room to work compared to 1024 x 600 netbooks. Battery life is very good at 5.5 hours and the laptop stays cool. We weren't thrilled with the constantly running audible fan when using the default fan settings though. The looks are great, it's easy to upgrade the machine and build quality is solid. For $450 to $500, this is a machine we can recommend. If the price creeps higher, as it is right now at some retailers, we say order with HP direct or consider a more powerful ultraportable in the $600 to $750 bracket if speed is more important to you than money. The new AMD Fusion CPU performed quite well in testing, especially compared to Intel Atom-based netbooks and notebooks. This new technology allows for a smaller price tag (this one is around $450) without sacrificing performance. The combined graphics with CPU on the same die allows for much more efficient handling of many tasks and resulted in very good performance ratings. However, don't expect to do any 3D gaming on this laptop because despite the new technology, it wasn't designed for that use. It's crazy to think we've been writing about and waiting for AMD's Fusion platform for close to five years now. Is this really happening? After years of waiting has AMD finally done it? 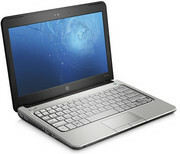 Provided a netbook / ultraportable platform that melds really solid performance and graphics with solid battery life? Something that can kick Intel's Atom to the curb, but doesn't require a recharge every two and a half hours? The HP Pavilion dm1z is next step in netbook evolution, as its new AMD Fusion APU proved you can have great battery life without sacrificing speed. Our first impression of AMD's new Fusion processors is really quite positive. Its performance doesn't stand up to larger ultra-low voltage CPUs you'll find in more expensive ultraportable laptops, but it blows the doors off Atom-based netbooks. It's small, cool, and power-efficient enough to allow a $450 system to offer a surprising amount of value: the Pavilion dm1z, in its base configuration, is lightweight, attractive, easy to work on, and offers better CPU, graphics, and video performance than similarly-priced Atom-based netbooks. If you simply look at the three-star rating of the Pavilion dm1z, you would think it's simply "average." It's not. This score is an artifact of HP's insistence that this is an ultraportable laptop and not a premium netbook. It's performance score, and therefore its overall score, is weighed against more capable and expensive systems. Consider the price and size of this system, and you'll see that what HP has built is not an inexpensive, mediocre ultraportable laptop, but a killer netbook that chips away at the compromises netbook owners have put up with for too long. At the end of the day, it's hard not to like the new HP Pavilion dm1z. HP and AMD resolved all of the main complaints that people had with the previous generation of AMD-based ultraportbales: Poor battery life, high temperatures, and only adequate performance. The new AMD Fusion APU technology really delivers some impressive results in terms of HD video playback, gaming, and even adds some "snappiness" in a basic Windows environment. At the time of this writing (January 2011) consumers will have a hard time finding an Intel-based ultraportable notebook or netbook that delivers better real world performance and battery life across the board for the same price ... and that's saying a lot. Several other companies announced other notebooks and netbook alternatives at CES 2011 that use the same AMD E-350 APU, so it's hard to say if the HP Pavilion dm1 is the best of the bunch, but it certainly is better than any netbook we've reviewed to date. The HP dm1z is certainly a strong competitor in the 11.6” screen size ultraportable market. 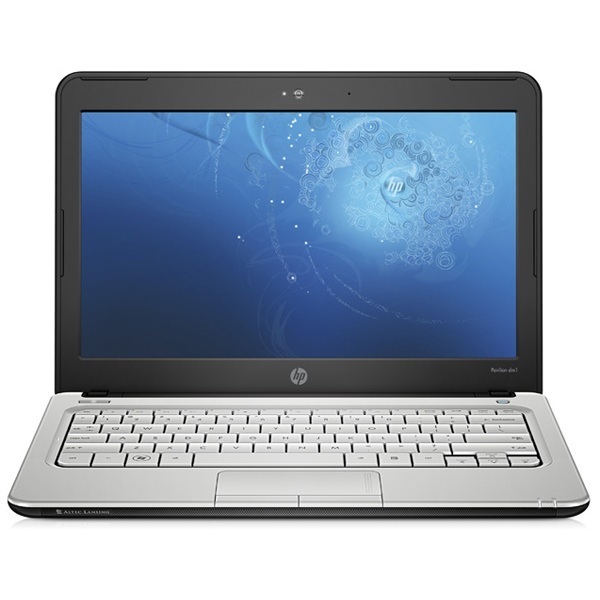 The starting price of $427.99 with the HP student discount is very reasonable and the base configuration will likely be enough power for most users. Things I particularly like are the attractive design, light weight, and good port selection and features. Some things that could be improved include the horribly clicky mouse buttons, battery life is decent but still behind the incredible 8-hour battery life some Intel laptops can get and there were a bit too much bloatware installed out of the box for my liking. Overall though if the feature set of dm1z fits your usage needs I can certainly endorse it as a good laptop to get in this class and I don’t think many will be disappointed. 81.42%: Esta evaluación es para ser considerada como promedio, porque la cantidad de portátiles con mejores evaluaciones es casi la misma que la cantidad con evaluaciones peores.